10:10 is helping the world rise to the challenge of climate change. We inspire and enable individuals and organisations from across society to make ambitious carbon cuts, starting with a 10% reduction in a year. 10:10 started in the UK in September 2009, and now has over 100,000 participants in 186 countries. To find out more and start cutting your carbon, visit 1010global.org. The Publisher’s Note Change your diet, lead a healthier life AND reduce your carbon footprint. This might be the highlight of the cook book you are about to explore. “Low Carbon and Delicious” shares over 50 recipes from 17 countries, providing a simple insight of what “low carbon food” means and how anyone can make a positive impact on the environment from their own kitchen. A variety of recipes – from vegetarian to vegan – offers a great way to explore other cultures and climates, while having fun creating healthy meals. 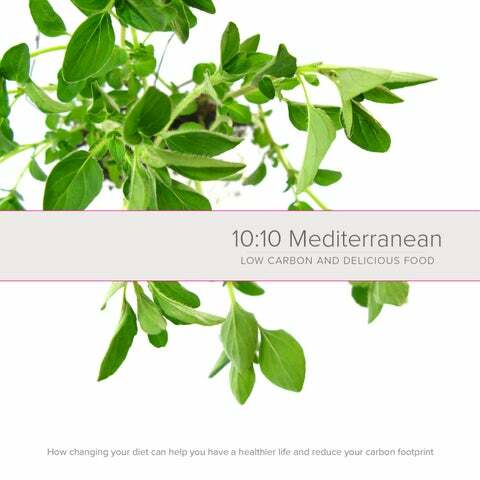 Earlier this year we launched a 10:10 food project, sharing low carbon recipes and asking people to do the same. This e-book is just a logical step forward within that project and we thought it would be a good idea to make it region specific. The Mediterranean region was the obvious first choice, as we are active in seven countries of the central, south and eastern Mediterranean. Our friends from 10:10 hubs in France, Italy and Spain joined in and helped put the whole thing together - it was a great fun for everyone involved! We were not trying to re-invent the wheel here. Our main goal was to make a colourful, inspiring and simple-to-use cook book with a low carbon twist. Enjoy! In the images of gnarled olive trees, colourful fishing boats in turquoise harbours, warm breezes, and whitewashed terraced villages, an enchanting magic draws historian and traveller alike to the Mediterranean. This great middle sea pulls us in awe to its architectural glories, to its dolorous yet eternally hopeful people, and to its evocative pantry of foods. A Mediterranean feast is not only the act of eating together with family and friends, it also refers to the experiences that enrich us whenever we touch upon Mediterranean history and life. What is Mediterranean cuisine? The Mediterranean is composed of many different cultures, and there seems to be no single image that represents a “magical” unity. Even with the shared trinity of ingredients (olive oil, wheat, and the vine), Italian food is a world apart from Turkish food, yet both are Mediterranean. The Mediterranean of today is entirely different from the Mediterranean of the classical world. In classical times there were no oranges or lemons, or potatoes and tomatoes, which had yet to arrive from the East and the New World. Asiatic rice, called “the blessing brought by the Arabs”, was unknown as were peppers from South America, maize from North America, and coffee from East Africa. The grandeur of the Mediterranean has led to a conception of a culinary rich Mediterranean that in reality is a late twentieth-century development based on centuries of evolution. â&#x20AC;&#x153;Food is essential to our lives and our happiness, and the cooking of good food satisfies both.â&#x20AC;? Cuisine is the tactile connection we have to breathing history. History and culture offer us a vibrant living society that we taste through cuisine. All cuisine is a reflection of the society from which it emanates. All cuisine is historical, rooted in the agricultures of the region in question. And cuisine has always been rooted in two foundations, the poor and the rich. In the end, cuisine is the result of culture. Food is essential to our lives and our happiness, and the cooking of good food satisfies both. Mediterranean Vegetables The vegetable cookery of the Mediterranean is renowned, and Mediterranean people eat a lot of vegetables. The reasons are related to history, economics, and the development of society. In the Mediterranean, many people use meat just as a kind of condiment in the flavouring of vegetables. The popularity of vegetables has waxed and waned in all cultures over time. The Romans knew that plants received nitrogen from the air and not from the soil, and that by burying plants their nitrogen could be returned to the soil. The Romans called this process “green manuring”. Green manuring was instrumental in enabling Roman farmers to successfully grow crop plants such as cabbage, along with a host of other vegetables. At the end of the first millenium A.D., Arab agriculturalists were responsible for what one scholar called the “medieval green revolution”. As a result of scientific advances in irrigation, hydrology, and horticulture, Arab farmers introduced a wide range of new vegetables into the Mediterranean, such as taro, spinach, eggplant, and artichokes. The medieval Arab rulers established royal gardens, which began as purely decorative gardens and were transformed over time into kitchen gardens that provided the Arab chefs with the raw materials for their culinary inventions. "The most famous of all vegetarians, Leonardo da Vinci, was appalled by meat-eaters." The popular diet in medieval rural Italy consisted of more vegetables and greens grown in the kitchen garden than is popularly thought. The vegetables were eaten raw, in salads, boiled in water, fried in lard or olive oil, or mixed with small amounts of meat. The most famous of all vegetarians, Leonardo da Vinci was appalled by meat-eaters. In the late 15th century he wrote in his notebook, â&#x20AC;&#x153;Does Nature not produce enough fruits and vegetables to satiate you? If you do not content yourself with fruits and vegetables can you not by mixing them, create infinite combinations, as Planita wrote?â&#x20AC;?. Vegetables and Health Of all the foods in the world, vegetables offer the greatest diversity of form and nutrients. A healthy diet is one that includes lots of vegetables, and micronutrients in vegetables appear to help in preventing a variety of chronic diseases. Today there is a consensus among health experts that a diet rich in vegetables and fruits reduces the risk of certain cancers. The Mediterranean food pyramid places a great emphasis on an abundance of food from plant sources, on seasonally fresh and locally produced foods, using olive oil as principal cooking fat. The basic message of the Mediterranean Diet Pyramid is to eat a largely plant-based diet, low in saturated and trans fatty acids, such as butter and margarine. The Mediterranean diet is an entire diet linked to certain lifestyles. You do not need to become a vegetarian, nor will certain vegetables provide the elixir to long life, but if you eat a lot of vegetables, you will be doing your body good. Perhaps Mediterranean food could be described as â&#x20AC;&#x153;peasant foodâ&#x20AC;?, not in a derogatory sense, but as a homage to the people who have provided and inspired us with such a vast and wonderful repertoire of recipes, ancient and new. In the Mediterranean, ingredients should be fresh and of the highest quality, meaning they need to be in season. Pepper and Zucchini Dolmas (continued) METHOD In a big bowl mix well all the ingredients for the stuffing. For the peppers: cut the tops off, make a little cut at the bottom or on the side so that they can cook thoroughly For the zucchinis: if zucchinis are organic, no need to peel them (otherwise peel them). Cut them into three equal pieces and carve them with a potato peeler or a small knife Stuff the peppers and zucchinis with the stuffing and place them in a big wide pot facing up. Add water to the pot. It shouldn't cover the dolmas; the water level should be 1 or 1 Â˝ inches below the top Cover and cook on low to medium heat (boiling vigorously would crack the dolmas) for 40-45 minutes In a skillet heat the oil and stir in garlic. After a couple of minutes add the paste and mint. Stir for another 1-2 minutes. Pour in lemon juice, stir, and turn off the heat Pour the sauce on dolmas with a spoon after 45 minutes cooking and cook for another 10-15 minutes. METHOD To make crust: Preheat oven to 350F. Coat 9-inch springform pan with cooking spray. Pulse flour, pine nuts and baking powder in food processor until finely ground. Whisk together soymilk, oil and salt in bowl. Stir in flour mixture. Press into pan. Bake 5 minutes, then cool. For filling: Heat 1 tbsp oil in skillet over medium heat. Add leeks, and sautee for 8 minutes, or until softened. Set aside. Simmer tofu in a pan of boiling water for 5 minutes. Drain, and pat dry. Whisk together remaining oil, lemon juice, miso, garlic and salt in bowl. Mash in tofu with fork. Stir in breadcrumbs, basil, sun-dried tomatoes and leeks. Spoon filling into crust. Bake 40 minutes, or until crust is browned. Cool 5 minutes, then unmold. New Potato Salad INGREDIENTS 5 new potatoes, quartered 2 green onions, sliced 4 tsp sweet mustard (optional) â&#x2026;&#x203A; tsp black pepper METHOD Place potatoes in large saucepan. Add enough water to completely cover potatoes. Bring to boil. Reduce heat to medium-low; simmer 20 min. or until potatoes are tender. Drain. Rinse potatoes with cold water until cooled; drain. Mix remaining ingredients in large bowl. Add potatoes; mix lightly. Cover. Refrigerate several hours or until chilled. Optional: Stir in 2 tbsp of chopped fresh herbs, such as parsley, chives, tarragon or basil, before chilling.Â Peeling Green-Skinned Potatoes If potatoes have a slight green tinge to the skin, be sure to peel them before use. The green color is caused by prolonged exposure to the light and contains a substance that can be toxic. Mint Tea INGREDIENTS 10 sprigs fresh mint, plus extra for garnish 3 tsp green tea 4 cups water METHOD Boil the water and pour a small amount in the teapot, swishing it around to warm the pot. Combine the mint and green tea in the teapot, then fill it with the rest of the hot water. Let the tea brew for three minutes. Set out glasses for the tea. A shot-glass is close to the tea glasses used in Algeria (make sure you are using glasses that can sustain heat). Pour the tea. Garnish with the remaining sprigs of mint. Soak lentils in 4 cups of water for 6-8 hours. Drain and rinse well. Rinse the red lentils and drain well. Set aside. To prepare the tomatoes, bring a pot of water to a boil and prepare an ice bath. Remove the core from the tomatoes and make an “X” pattern at the bottom. When the water is boiling, lower the tomatoes and blanch for 10 seconds to loosen the skin. Then with a slotted spoon, transfer the tomatoes into an ice bath. Finely chop the onion, carrot, leek, celery and garlic. Then peel, de-seed and finely chop the tomatoes. Heat a large stock pot over low-medium heat. Add the olive oil followed by the onions and sea salt. Cook the onions until soft and translucent. Then add the carrots and celery, cook for about 5 minutes, and then add the leeks and cook for another 3 minutes. Finally, add the garlic, and cook for 2 more minutes. Add the chopped tomatoes and cook for about 3 minutes to extract the liquid. Add the white wine and the lentils. Let the wine reduce by half for about 5 minutes, and add the vegetable stock. Bring to a simmer and lower the heat. Cover slightly and cook for about 30-45 minutes until the lentils are tender. To serve the soup, season with salt and pepper if necessary. Add more water if mixture is too thick. Ladle onto individual soup bowls, serve hot and enjoy. Bean and Leek Salad INGREDIENTS 3 medium leeks 2 cups cooked beans 1 tbsp olive oil, extra-virgin 1 tsp white wine vinegar ¾ tsp Dijon mustard ¼ tsp table salt ¼ tsp black pepper 1 tbsp parsley, minced METHOD Trim leeks to yield 4 inches of white bulb; discard green tops. Cut leeks lengthwise in half and rinse them under running water to clean; pat dry. Place leeks, cut-side down on grill, and cook until tender, about 5 to 10 minutes on first side, and 3 to 5 minutes on second side. Remove leeks from heat; trim off stem ends. Slice leeks into ½-inch thick pieces and place in a serving bowl; stir in beans. Stir together oil, broth, vinegar, mustard, salt and pepper in a separate bowl; pour over salad. Toss gently but well; garnish with parsley. Pumpkin Soup INGREDIENTS 2 cups chopped pumpkin 1 tbsp butter 1 medium onion finely chopped 2 cloves garlic, crushed 3 cups vegetable stock 1 tbsp tomato paste 1 tbsp grated parmesan cheese salt and pepper to taste METHOD Chop the pumpkin into large cubes discarding the skin and seeds. Sweat the onion and garlic in butter in a large saucepan until the onion is clear. Add the pumpkin and garlic and sweat for a minute. Add three cups of vegetable stock and the tomato paste, cover and simmer for 20 minutes or until the pumpkin is tender. Rinse a blender in boiling water to warm and blend the soup mixture. Serve sprinkled with grated Parmesan cheese. This soup can be made two days in advance and can be frozen for two months. Add the cheese when re-heating, just prior to serving. Common Fig Figs are a nutritious snack right off the tree and delicious when used in prepared foods. Fresh figs make excellent presentations as simple, yet elegant, desserts or hors d'oeuvres. Both fresh and dried figs can be used as nutritious snacks and in foods and desserts, such as fig tarts and fig bars. Figs can be grilled or slightly warmed and stuffed with a soft cheese. Top it off by serving the figs with a drizzle of honey or a thick and sweet balsamic vinegar reduction and a garnish of honey roasted walnuts. Figs are delicious in homemade jam. Fig leaves are edible; they can be used to wrap around foods and cooked similar to grape leaves. Olives The olive is the fruit of the olive tree or "oliver". It is an important food crop in Italy, Spain and especially in Greece among other countries around the Mediterranean. It is naturally very bitter, but after a long time in salt, it becomes a tasty and healthy food (though very fatty - it is one of the fattiest cooking oils in use, higher than palm, canola and other vegetable oils). Olive oil is the juice made by crushing olives. Olives ripen from green to black; the flesh encloses an oval stone and is the source of olive oil - the fruit stoned or stuffed is used as an appetiser and as a flavouring and ingredient in dishes. More recently the low level of saturated fat has made olive oil more popular as a healthy and tastier alternative to other vegetable oils. There are two basic types of olive, green and black (ripe). Green olives are harvested before they ripen and treated with an alkali to reduce the bitterness the rinsed and pickled in brine. Black Olives are harvested when fully ripe and are not treated with alkali but are still pickled in brine. METHOD Place water and sugar in large bowl and stir. Add yeast and stir slightly. Let rest for 5 minutes. Mix in salt and flour gradually, starting with 3 ½ cups flour then adding the rest. More or less water may be required, depending on the brand of the flour. Use enough flour to prevent dough from clinging to bowl. Knead well for 5 minutes. Place a little vegetable oil on palms of hands and smooth all over to prevent crusting. Cover with plastic, then a cotton towel, and allow to rest for ½ an hour. Set oven at 500 F. Divide dough into 8 balls. Roll out each ball into ¼-inch thickness. Let rest covered for 20 minutes on generously floured table or counter top. Bake on ungreased cookie sheets for 5-8 minutes or until lightly browned. The higher the oven temperature the better the results. May be kept in a plastic bag in the refrigerator for several days or may be frozen. To warm pita, place on the rack in the oven at 300 F for 1-2 minutes. Tips: Make sure there are no creases in the dough and that the pitas are lying flat on the cooking sheet. METHOD Preheat oven to 375 F. Heat the oil in a large saucepan and sauté the onion, garlic, courgette or celery for 3 - 4 minutes, until softened. Add the mushrooms, tomatoes, herbs and stock. Bring up to the boil, then reduce the heat and simmer without a lid for 10 minutes. Add the blended cornflour and cook, stirring, until thickened. Remove from the heat and season. Spoon half the tomato mixture into a large baking dish. Layer the aubergine slices over the top, then spread the remaining tomato mixture over them. Arrange the potatoes over the surface in an overlapping layer. Beat together the soft cheese with the egg. Season with salt and pepper. Spread over the potatoes, then sprinkle the grated cheese on top. Bake in the oven for 45 - 50 minutes, until the topping is golden brown. In the original story of "Sleeping Beauty," the young woman was revived from her slumber with a whiff of rosemary-scented water. This potent herb can revive sluggish summer appetites just as well. INGREDIENTS 1 Â˝ cups water 3 tbsp sugar 1 Â˝ cups lemon juice Grated rind of 1 lemon 2 sprigs of rosemary Ice cubes Cold water or club soda METHOD Combine the water and sugar in a saucepan and bring the mixture to a boil over high heat. Boil the liquid for 3 minutes. Remove the pan from the heat and stir in the lemon juice, lemon rind and rosemary. Refrigerate at least one hour or until very cold. Strain the mixture into a storage container. When you want some lemonade, place 5 to 6 ice cubes in a drinking glass. Fill the glass about a third full with the lemon syrup, add water or club soda to the top of the glass, stir and drink. METHOD Char eggplants over gas flames until soft, turning frequently with tongs until the juices begin to ooze out, then allow to cool. Alternatively, you can bake the eggplants in a 425°F oven for 30 minutes. Peel the eggplants and let them drain in a sieve. Purée the eggplant in a food processor with the lemon juice, ground cumin, garlic clove, olive oil, tahina (optional) and salt and pepper to taste. Spoon into a serving dish and garnish with olive oil and whole olives. METHOD In medium saucepan with lid, bring water to a boil. Add pearl barley, wild rice and salt; return to boil. Reduce heat to low, cover and cook about 40 minutes or until barley is tender but chewy. While barley and wild rice is cooking, pour orange juice over dried cranberries and set aside. Drain any excess liquid from cooked barley and rice mixture. Place barley and wild rice in large bowl. Drain cranberries, reserving 5 tablespoons orange juice. Toss cranberries with barley and wild rice. Mix reserved orange juice with lemon juice and onion. Whisk in olive oil and season to taste with salt and pepper. Pour dressing over barley mixture. Add chopped parsley and toasted walnuts; mix well. Serve at room temperature or chilled. Baked Beans INGREDIENTS 3 cupsÂ beans, pre-cooked 1 cup vegetable broth 1 yellow onion, diced 1 cup tomato puree 1 tbsp soy sauce 1 tsp mustard powder Â˝ tsp garlic powder METHOD Pre-heat oven to 350 F. In a large casserole or baking dish, stir together all ingredients, mixing well to combine. Cover and bake for one hour. If baked beans are too saucy, bake uncovered for another 15 minutes. Tomato Soup This traditional soup is quite common throughout France and other countries in the Mediterranean. It is thickened with bread and then served with garlic bread. INGREDIENTS 4 tbsp olive oil 1 onion, diced 3 cloves of garlic, minced 1 green pepper, pitted and cut Â˝ tsp ground cayenne 3 cups tomatoes, diced 1 cup bread, broken into small pieces 4 cups vegetable stock METHOD Heat the olive oil in a frying pan. SautĂŠ the onions, garlic and peppers. Stir for 2-3 minutes or until tender. Add cayenne pepper and the tomatoes. Cook on low heat until the mixture thickens. Add the bread, vegetable stock and simmer for 10-15 minutes until the soup thickens. Variation: If you prefer, you can substitute the green pepper for red pepper. INGREDIENTS 1 bunch asparagus, trimmed 1 inch from the bottom, peeled and chopped into 1 inch long chunks 1 cup mushrooms, brushed, cut in quarters 2 tbsp olive oil (1 for cooking 1 for after) 1-2 garlic cloves, chopped 3 tbsp water Â˝ lemon zest Salt Pepper METHOD Saute the mushroom with salt and olive oil for about 2-3 minutes on a little bit over medium heat in a medium sized pot. Add in the garlic and saute until the smell of garlic comes out. Then add the asparagus and water. Cook for 15 minutes over a little bit under medium heat with the lid on. Turn the heat off. Sprinkle salt, pepper and lemon zest on top and pour the remaining olive oil, then toss. Let it cool down and place on a serving plate. Serve with any kind of beef, chicken and fish. Greek Salad Greek salad, or horiatiki salata, is a rough country salad of juicy tomatoes, crisp cucumber, sliced red onion, green pepper, crumbly feta cheese and plump kalamata olives. Greek salad can be served as a side dish or as a light meal with some crusty bread. INGREDIENTS 3 tbsp extra virgin olive oil 1 ½ tbsp lemon juice 1 clove garlic, minced ½ tsp dried oregano ¼ tsp sea salt ¼ tsp freshly ground black pepper, and extra for garnish 3 tomatoes, cut into wedges ¼ red onion, sliced into rings ½ cucumber, sliced into thick half-moons ½ green pepper (capsicum), julienned 1 cup feta cheese, cut into small cubes 16 kalamata olives METHOD Place the olive oil, lemon juice, garlic, salt, pepper and oregano in a small jar with a screw-top lid and shake to combine. Put the salad ingredients in a large bowl. Pour the dressing over the salad and toss gently to combine just before serving. Garnish the Greek salad with a little freshly ground black pepper. Dolmathakia (continued) METHOD Heat a saute pan or medium pot over medium-high heat. Add oil, onion, and salt. Cook, stirring a fair amount, until onions are tender, about 3 minutes. Add garlic and cook until tender, about 1 minute. Add green onion and cook, stirring, until wilted, about 1 minute. Add rice, stir to coat thoroughly, and add 3 cups water. Bring to a boil, cover, and reduce heat to low. Cook, undisturbed, for 30 minutes. Turn off heat and let sit 15 minutes. Uncover, fluff, and stir in pine nuts and sunflower seeds. Let sit until just warm and stir in pepper and mint. Taste and adjust salt and pepper. Lay a grape leaf in front of you. Add a spoonful of filling to the center by the stem. Fold up the bits of leaf below the stem and tuck under â&#x20AC;&#x201C; as you can â&#x20AC;&#x201C; to form a little bundle. Fold sides of leaves over the filling bundle and roll entire bundle to wrap completely in the remaining grape leaf. Place stuffed and rolled grape leaves on a lightly oiled baking tray. Cover with aluminum foil and bake at 350 F for about half and hour. Uncover and drizzle grape leaves with high quality, really tasty olive oil. Let sit until warm or cool and serve with lemon wedges for spritzing and dollops of goat cheese or feta for extra tang. Frappe . INGREDIENTS 1 ½ cups cold water Sugar Ice cubes 1 ½ tsp instant coffee METHOD Start by blending 5 tbsp of water, the coffee, and the sugar to your desired taste. The blend should look foamy when you are done. Pour into a large glass, and fill the rest of the way with ice. Add the rest of the water to your desired consistency and strength, and serve with a straw for the perfect drink. METHOD Put the dried porcini in warm water for half an hour till they become soft. In the meantime cut the asparagus and put them in hot, salty water. Transfer them into a dish. Using the same water, soak the Kamut spaghetti for about 8 minutes. Put a couple of tablespoons of oil in a pan, together with a slice of garlic. After a minute add the drained asparagus and the drained mushroom. In a separate pot, mix a tablespoon of pistachio sauce with a little soy milk until you have a creamy sauce. After draining the pasta put it in the pan with the asparagus and the mushroom, and add the pistachio sauce. Serve it with fresh pepper. Vegetables Panzanella INGREDIENTS 1 large slice of bread 2 asparagus spears 1 large tomato 1 zucchini 4 tbsp of olive oil Basil Salt and pepper Balsamic vinegar 1 tomato and some basil leaves for decoration METHOD Put the zucchini in salty water for about 2 minutes, wait for it to be cold. Wash the tomato, remove the seeds and cut it in little cubes. Boil the asparagus for 2 minutes and wait for it to be cold. Cut the bread in cubes and toast it in the oven with oil salt and pepper for some minutes. Chop the zucchini and the two asparagus in little pieces. Take a container and put the tomato, the zucchini and the asparagus and add the oil (4 tbsp) and the balsamic vinegar, then add the bread. Mix it well. Cut the basil and add it to the mix. Divide the mix in four containers and let it rest in the fridge. Put into four dishes and decorate it with basil leaves and tomato slices. METHOD Begin by carefully rinsing the lentils. Drain and set aside. Dice two of the peeled onions. Set aside with the rice and lentils. Take the two remaining onions, halve, then cut into slices about ¾ inch thick. Cook in the olive oil on medium-high heat until golden brown (about 10 minutes). Remove with slotted spoon and set aside on a paper-towel covered plate to drain. Do not discard oil. Sauté the diced onions in oil until they're soft. Add the rinsed lentils. Stir together and toast the lentils for two or three minutes. Add the water and all the seasonings. Bring to a boil, then allow to simmer about 10 minutes until lentils are tender Add the rice to the pot. Cook until the rice is done. Then transfer the finished pilaf to a serving plate or bowl. Top with the previously reserved caramelized onions. Can be served with a side of pita bread, olives or hummus. Plums are delicious eaten as is. If the plums have been in the refrigerator, allow them to approach room temperature before eating them as this will help them attain the maximum juiciness and sweetness. If you want to first remove the pit before eating or cooking, cut the plum in half lengthwise, gently twist the halves in opposite directions and then carefully take out the pit. Plums can also be used in a variety of recipes and are usually baked or poached. Falafel INGREDIENTS 2 cups chick peas 1 onion, very finely chopped 1 garlic clove, crushed 1 slice of white bread, soaked in a little water ¼ tsp cayenne 1 tsp coriander, ground 1 tsp cumin, ground 2 tbsp parsley, finely chopped salt to taste oil for frying METHOD Soak the chick peas overnight. Cover with plenty of fresh water and cook for 1 - 1 ½ hours until tender. Pound or blend the chick peas to a purée. Squeeze out the bread and add to the chick peas together with the rest of the ingredients. Knead well for a few minutes. Let the mixture rest for 1-2 hours, then roll between the palms into firm 1” balls. (Wetted hands make this easier). Heat oil (at least 1 inch deep) in a pan to about 360 F, and fry the balls, a few at a time, until nicely brown all over – about 2-3 minutes. Drain and serve hot with lemon wedges. METHOD Place the burghul in a small mixing bowl. Add the boiling water, mix and cover with a tea towel. Let stand for 1 hour then squeeze out any excess water. Combine the burghul with the remaining ingredients; toss well and serve. Rice Salad INGREDIENTS 1 ½ tsp salt 1 ½ cups long-grain rice ¼ cup fresh lemon juice ⅓ cup rice bran oil 1 clove garlic, minced 1 tsp fresh oregano, minced ¼ tsp freshly ground black pepper ⅛ to ¼ tsp. dried red capsicum flakes (or 1 tblsp fresh) 2 cups chopped spinach leaves 1 red capsicum, finely chopped 1 small cucumber, peeled and finely chopped ½ cup chopped spring onion ½ cup chopped kalamata olives 1 cup crumbled feta cheese - optional METHOD In a medium saucepan, bring 2 ½ cups water to a boil. Add ½ tsp salt and the rice. Turn heat to low, cover, and simmer 15 minutes. Remove from heat and let sit for 5 minutes. Uncover and fluff with a fork. In a large bowl, whisk lemon juice, olive oil, garlic, oregano, pepper, pepper flakes, and remaining salt. Add rice to dressing and toss to combine. Add spinach, toss, and let sit until no longer steaming, about 20 minutes. Add remaining ingredients and toss to combine. Serve at room temperature or cold. Watermelon If you have ever tasted a watermelon, it is probably no surprise to you why this juicy, refreshing fruit has this name. Watermelon has an extremely high water content, approximately 92%, giving its flesh a crumbly and subtly crunchy texture and making it a favorite thirstquenching fruit. Wash the watermelon before cutting it. Due to its large size, you will probably not be able to run it under water in the sink. Instead, wash it with a wet cloth or paper towel. Depending upon the size that you desire, there are many ways to cut a watermelon. The flesh can be sliced, cubed or scooped into balls. Watermelon is delicious to eat as is, while it also makes a delightful addition to a fruit salad. Jam, sorbet and juice are some nutritious and delicious things you can make with watermelon. While many people are just accustomed to eating the juicy flesh of the watermelon, both the seeds and the rind are also edible. If you choose to eat the rind, we would highly suggest purchasing organic watermelon. Dried Fruits One of the best things about fruit is it can be dried and therefore makes a variety of fruit more readily available all year round. Though the fruit is dried, there is still much goodness to be found within it. Within the range of dried fruit there is the familiar raisin through to the more extravagant dried mango spears. If you are craving a sweet snack, they are a great alternative to a bag full of lollies. Some examples of excellent dried fruits are: DATES Dates are great substitutes for sugar and can even be ground into flour. PRUNES Prunes are the dried fruit of a specific type of plum. Prunes are rich in potassium making them of assistance to those with high blood pressure. RAISINS Raisins are dried grapes and the best kind of raisin is one that is able to become so when it is left to dry on the vine. In past tradition raisins would be picked by the bunch (still as grapes) then laid out on earthen floors to dry. The bunches would be turned every 7 to 10 days. Current methods of raisin production employ use of mechanized harvesting. Raisins are wonderful for a natural energy booster. It is always a good idea to wash raisins bought at the supermarket as they can contain sulphur and mineral oil. Potato Soup INGREDIENTS 2 cups diced celery 1 ½ cups peeled and diced raw potatoes ¼ cups diced onion 2 cups vegetable stock 1 cup milk 2 tsp salt ½ tsp white pepper 1 tbsp butter ½ cup chives (optional) METHOD Simmer celery, potatoes and onion in stock in a covered pot until tender, approximately 20-30 minutes. Remove from heat, allow to cool a bit. Put in a blender and mix well. Return to pot, heat just to boiling point, but do not boil. Add seasonings. Serve topped with chives and parsley. For thicker soup, increase potatoes by 1 cup. Spices Mediterranean spices are those spices commonly used in Mediterranean cuisines, which can be roughly defined as the cuisines of Southern Europe, Northern Africa and the Eastern Mediterranean. Types Such spices as saffron, nutmeg, cinnamon, ginger and cloves tend to dominate in North African cuisine. Rosemary, thyme, basil, bay, laurel, parsley and sage are more characteristic of Southern European cuisine. Dill, mint, sumac and allspice are popular in the Eastern Mediterranean. Uses Mediterranean spices may be used in a number of countries, but for different applications. For instance, in some countries, cinnamon is used exclusively to enhance the flavor of sweet dishes, while in Turkey or Morocco it is also used in savory dishes. Bigilla INGREDIENTS 2 cups dried broad beans 2 sprigs parsley 1 head of garlic crushed 1 chili pepper a dash of Tabasco 1 tbsp of mixed marjoram and mint, finely chopped 2 tbsp olive oil METHOD Soak beans overnight. Replace water. Add salt to taste. Bring to boil and simmer until beans are soft. Mash beans lightly and place them in a serving dish. Pour olive oil on top. Add other ingredients to taste. Kwarezimal INGREDIENTS 2 cups ground almonds 1 ½ cup flour ¾ cup wholemeal flour 1 cup sugar ½ cup candied peel 1 tbsp cocoa 1 tsp cinnamom 2 cups roasted nuts, chopped 1 tsp mixed spices 1 lemon rind, grated 1 orange rind, grated ¼ cup margarine 2 tbsp orange flower water 1 tsp honey METHOD Heat margarine in a saucepan until melted. Sift flours in a bowl. Add bran from wholemeal flour back to flour. Stir in melted margarine and orange flower water. Add remaining ingredients to the flour mixture and add enough water to knead into a stiff dough. Form dough into shapes 16” by 3” and 1” thick. Bake in oven at 350 F for about 15 minutes or until golden brown. While still hot, brush on honey and sprinkle with chopped nuts. Red Pepper and Bean Salad INGREDIENTS 2 large red bell peppers, chopped 1 cups black beans, cooked and rinsed, well drained ½ cup chopped yellow bell pepper ½ cup finely chopped red onion ¼ cup chopped fresh parsley ¼ cup chopped fresh basil 1 ½ tbsp red wine vinegar or Acetto balsamico 1 tbsp olive oil 1 tsp minced garlic 1 tsp grated orange peel METHOD Combine all ingredients in large bowl; toss to blend. Season with salt and pepper. (Can be made 4 hours ahead. Cover; chill.) Serve chilled or let stand 30 minutes at room temperature before serving. Carrot Salad INGREDIENTS About 6 large carrots 3 garlic cloves ¼ cup extra virgin olive oil About ¼ cup parsley About 1 full tsp of paprika About ½ tsp of cumin Pure sea salt and ground black pepper to taste METHOD Peel and core carrots and cut into small cubes. To core carrots, cut carrot in half and then cut each piece in half lengthwise. Using a small sharp knife, cut along both edges of the lighter colored core and snap out the core using the knife under to pull it out if needed. Proceed to cube into smaller cubes. Put carrots and whole garlic cloves in a pot, fill with water and cook just until tender, about 15 minutes. Drain well and remove garlic. Heat olive oil in frying pan, add carrots and parsley and mix well. Add all remaining spices and mix. Taste and adjust spices to taste. Serve at room temperature. When making ahead I cook the carrots the day before and keep in the fridge. Then about an hour before serving I saute with parsley and spices and leave outside to be served at room temperature. INGREDIENTS 2 ice cubes 16 fresh mint leaves 2 cups sweetened iced tea 4 tbspÂ lime juice Mint leaves METHOD Add ice and mint leaves to a cocktail shaker. Close shaker and take a few minutes to bruise mint leaves. Add remaining ingredients and shake to combine. Pour into ice tea glass or a cocktail glass and garnish with mint leaves. METHOD Grate the cucumber in a large bowl and add the green pepper. Blend the tomato, onion and garlic. Add the oil, vinegar, lemon juice, and tomato paste. Pureé. Pour the pureé in a bowl and mix well. Add the tomato juice and mix. Add spices to taste, pour into a glass jar. Cover with a lid and cool for at least 6 hours. For the croutons, toast bread with oil, garlic, and spices to taste. Place croutons aside in one small bowl, and onions together with the green peppers in another. Serve the gazpacho in a large bowl, garnishing it with chives or parslay. Around the bowl, arrange the small bowls of croutons. Allow the guests to serve themselves. Ensalada Valenciana A refreshing salad from Valencia. INGREDIENTS 1 small onion, finely diced 2 large oranges, peeled and thinly sliced 2 tbsp olive oil 1 tbsp white wine vinegar Garlic to taste, crushed Pinch of salt Black pepper to taste Crisp lettuce leaves, shredded or torn 12 black olives, pitted METHOD Marinate the onions and oranges in the oil, together with the vinegar, garlic and seasoning for about an hour. Add the lettuce and olives and mix well. Sangria INGREDIENTS Apple juice, for ice cubes 1 ¼ cups water 1 small bunch fresh mint ½ cup sugar 3 cinnamon sticks 3 ¼ cups grape juice 2 medium peaches, peeled, pitted and sliced 2 small pears, cut into chunks 2 medium oranges, sliced crosswise 2 small lemons, sliced crosswise 3 cups sparkling non-alcoholic apple cider Mint leaves, to garnish (optional) METHOD To make the apple juice ice cubes, pour the apple juice into two ice trays and freeze until the sangria is ready to serve. Combine the water, mint leaves, sugar, and cinnamon in a small saucepan, and bring to a boil over medium heat. Reduce the heat and simmer for several minutes. Remove from the heat and allow to cool. Once the mixture has cooled to room temperature, remove and discard the mint and cinnamon sticks. METHOD Soak the chickpeas in water for 12 hrs. Rinse and drain. Cook them on medium heat until tender. Drain them and place them in a salad bowl. Add the crushed garlic gloves, the salt, the cumin, and the olive oil. Toss them until combined. Sprinkle with chopped parsley and roasted pine nuts. Batata Harra INGREDIENTS 5-7 red potatoes cut into chunks ½ tsp red cayenne pepper 4 cloves minced garlic Fresh ground pepper to taste 1 ¼ tsp salt (adjust to taste) ⅛-¼ cup olive oil Juice of half a lemon ½ cup of finely chopped cilantro METHOD Place potatoes on a cookie sheet covered with greased aluminum foil. Bake in the oven until they are cooked through and slightly crispy on the outside, about 30 minutes at 400 F. When the potatoes have about five minutes left, add the oil, garlic, salt, pepper, olive oil, lemon juice and cayenne into a large skillet. Cook on low until the garlic is cooked, then add the cilantro and mix together well. Finally add the potatoes into the pan and combine them. Serve immediately. Ful Medames INGREDIENTS 1 medium onion, chopped 3 cloves garlic, minced 2 medium tomatoes, chopped 3 cups cooked fava beans, rinsed and drained 1 tsp ground cumin ¼ tsp cayenne or red chili pepper 3 tbsp lemon juice ¼ cup parsley METHOD Sauté the onion and garlic in a large, non-stick skillet for about 4 minutes. Add the tomatoes and cook for another 4 minutes. Stir in the fava beans, cumin, and red pepper, and cook on medium-low heat for about 10 minutes. Remove from the heat and mash the fava beans lightly, right in the skillet, until most of the beans are mashed. Scoop into a serving bowl, and mix in the lemon juice and parsley. Serve with warm pita bread. METHOD Heat oil in a large stock pot and add onions, garlic and carrots. Saute until soft. Rinse the peas. Add all other ingredients. Heat on high until you reach a boil. Reduce heat to medium or medhigh and simmer for about an hour and a half or until peas are very soft (stir every 10 minutes or so). Use an immersion blender and chop up all the ingredients until soup is a consistent texture. Taste and add salt or pepper as desired. Serve with toasted French bread and a large green salad. INGREDIENTS 2 cups chickpeas, previously soaked in the water for 6 hours, rinsed and drained 2 cups cooked red kidney beans, rinsed and drained 1 green pepper (capsicum) and 1 red pepper (capsicum), seeded and chopped 2 tomatoes, seeds removed and chopped 1 small red onion, finely chopped Dressing 1 lemon, juiced 2 tbsp olive oil 1 clove garlic, crushed 1 tsp honey Âź tsp chilli paste Â˝ cup fresh parsley, chopped Sea salt and freshly ground pepper to taste METHOD Combine the chickpeas, beans, chopped peppers, chopped tomatoes and chopped onion in a bowl. Make the dressing. Mix the lemon juice, olive oil, crushed garlic, honey and chilli paste together. Season to taste. Pour the dressing over the salad. Toss gently. Refrigerate the salad for half an hour or longer prior to serving. Add the parsley just prior to serving. Toss through gently. Season with ground pepper if wished. Muskmelon There are many varieties of muskmelon fruit, from a cantaloupe to a pepino. Whether you eat a fresh slice of a muskmelon for a snack or use it as a colorful addition to salads or the showcase ingredient of a refreshing beverage, this fruit contributes a boost of flavor and nutrition. Ripe, chilled and sliced or cubed muskmelon of any kind is eaten raw as a snack or fruit side dish or tossed with other fruits in a salad. Pureed muskmelon is also used to flavor sorbets and ice cream. Strips of muskmelon flesh are dried for fruit leather. Fewer dishes call for cooked muskmelon, but winter melon varieties, with their crisp, cucumber or squash-like flavors, are used in stews and curries or stir-fried with vegetables or other fruits. Sweeter muskmelon types can be blended into jam. Artichoke Dolma INGREDIENTS 2 artichokes 1 cup cooked beans Â˝ cup cooked rice 4 stalks green onions Âź bunch fresh dill 2 tbsp olive oil Salt METHOD Finely chop fresh onion. Mix the beans, onion and rice with the dill. Wash artichoke leaves and cut the stems in a manner so that the artichokes can stand upright. Put the filling inside leaves. Place artichokes in a pot half filled with water and cover. Cook over medium heat for 50 minutes or so. Serve hot or cold. Green Bean Salad INGREDIENTS 2 cups cooked beans, drained 2 cups green beans, cut into 2-inch pieces and steamed ½ cup Kalamata olives 1 red bell pepper 2 tsp lemon zest ⅛ tsp black pepper ¼ cup olive oil 1 tbsp balsamic vinegar 2 tbsp red wine vinegar METHOD Toss all ingredients in a bowl. Chill for 2 hours before serving. INGREDIENTS 他 cup cold water 3 tbsp freshly ground medium roast coffee METHOD Combine all ingredients in the cezve and mix with a spoon. Put the cezve over very low heat and do not stir. After about 3 minutes, a thick foam rises to the surface. Just as the coffee is about to bubble up and overflow, immediately remove the cezve from the heat. Gently divide the foam between 2 demitasse cups, then place the cezve back on the heat for a few seconds. Pour the coffee into the cups, carefully pouring it down the sides of the cups in order not to disturb the foam. The coffee grains will settle at the bottom of the cup. Buying locally sourced products, food and drink is a great way to make a huge difference in reducing your carbon footprint. Buying locally produced and in-season groceries can cut out a lot of the carbon emissions from transportation and reduce your carbon footprint that way. As well as environmental benefits, this kind of produce is likely to be better for you, and better tasting. If things like fruit and veg are bought locally they will be picked when ripe, tasting better, and wonâ&#x20AC;&#x2122;t need preservatives to keep them from going off, also making them taste better and making them more healthy. The old adage, "We are what we eat,'' may be the latest recipe for success when it comes to curbing the perils of global climate warming. What’s the big deal with seasonal food? Why not eat whatever you feel like whenever you feel like it? Who cares about strawberries in December flown in from Egypt or Kenya? Why would anyone want to live on turnips for the winter? Well, seasonality is a talking point at the moment. Firstly if we insist on eating food out of season it has to come from somewhere on the other side of the world where it is in season. That means lots of travelling for the strawberries, lots of sitting around in boxes, lots of airplanes, bashing and bruising…lots of chemicals to keep those strawberries looking spanking new and “freshly” picked. An important part of buying local is making an effort to purchase fresh fruits and vegetables when they are in season in your area. Although today's global marketplace allows us to buy foods grown virtually anywhere in the world all year round, these options are not the most sustainable. By purchasing local foods in-season, you eliminate the environmental damage caused by shipping foods thousands of miles, your food dollar goes directly to the farmer, and your family will be able to enjoy the health benefits of eating fresh, unprocessed fruits and vegetables. Buying seasonal produce also provides an exciting opportunity to try new foods and to experiment with seasonal recipes. And it simply tastes better! Even if you don't want to change any of your eating habits, you can at least make sure to buy local produce when it's available, rather than purchase the same type of food from 3000 miles away! For an added challenge, try to eat most foods only when they are in season, or can seasonal food in order to eat and enjoy it all year round. Disclaimer: Nektarina Non Profit is not the owner of photographs used in this book. Photographs were donated for book purposes only, and their authors reserve all further rights. 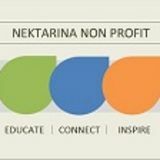 Nektarina Non Profit has not tested all the recipes presented in this book. Photographs accompanying the recipes are for illustrative purposes only. The final meal prepared following the recipe instructions may or may not look as the meal presented on the photo next to that recipe. Certain meals and food may be considered a "national dish" in several countries of the Mediterranean region. Describing the food or the recipe under a certain country in this book does not mean that the same or similar meal is not prepared in the same or similar way in another country of the Mediterranean region, or other regions of the world.